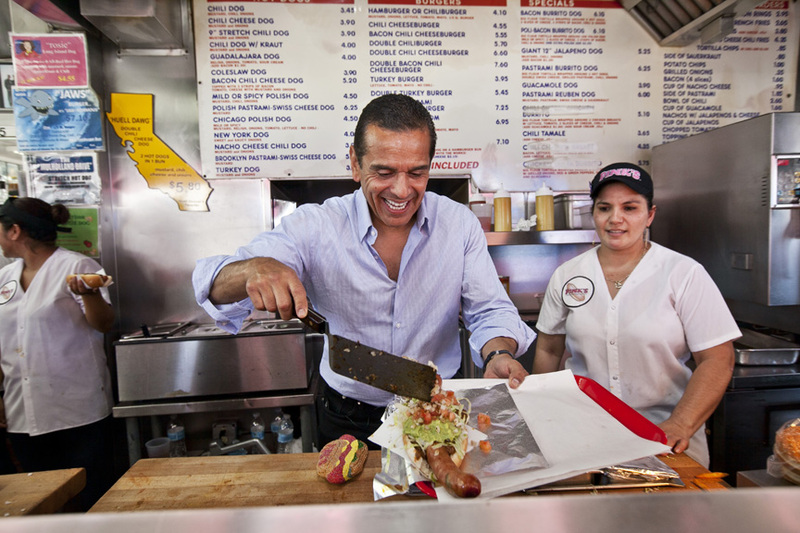 Los Angeles Mayor Antonio Villaraigosa's farewell bus tour through the city. The tour made a quick stop at Pink's Hot Dog stand on La Brea where the Mayor made his iconic dog, "The Mayor's Dog." Sunday is his last day as acting Mayor, when Eric Garcetti will take his oath in front of LA City Hall. Big dogs for the Mayor. 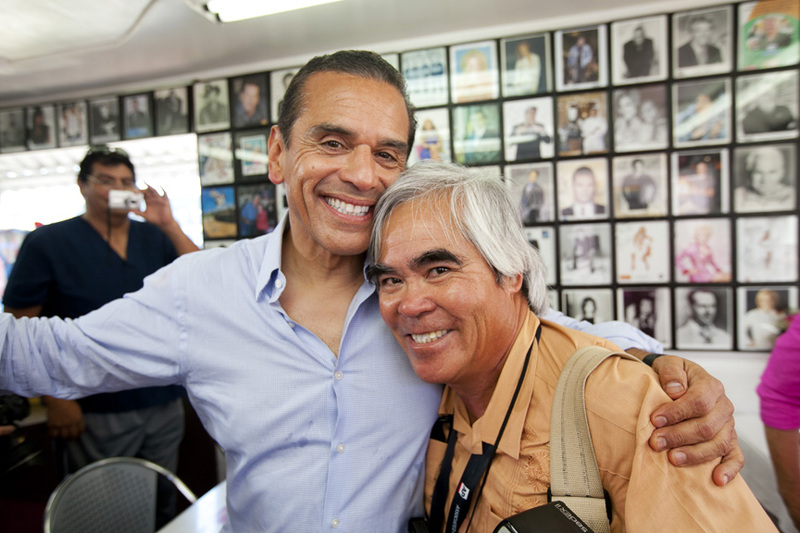 Gloria Pink and Mayor Villaraigosa. Mayor Villaraigosa and Nick Ut.